A.C. Whyte are proud to announce we are a finalist for two categories at this years’ INCA awards, including Installer of the Year and the Heritage award for one of our External Wall Insulation projects in Port Glasgow. 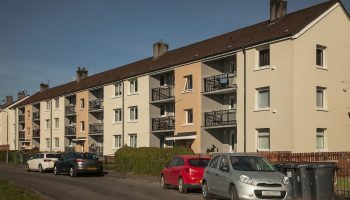 The Heritage Award recognises projects which have stood the test of time, to promote the benefits of External Wall Insulation as a long term solution. A.C. Whyte are proud to have been nominated for this award and see this as a recognition of our quality workmanship. 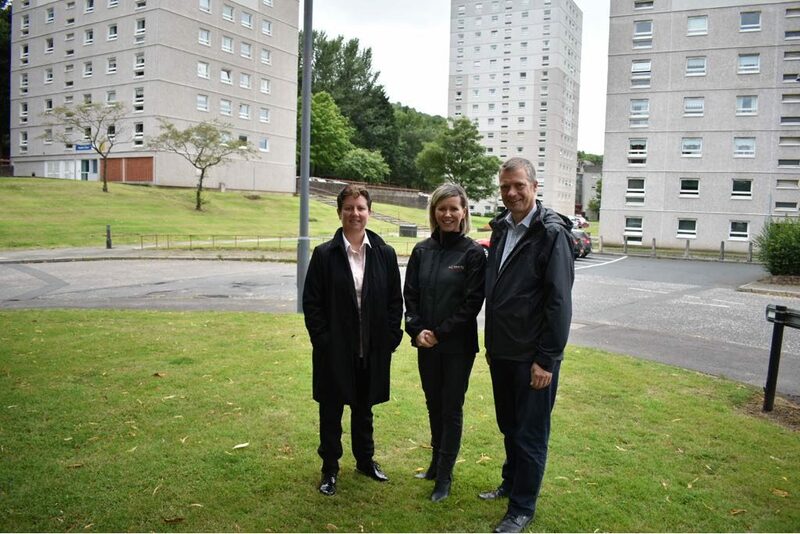 We were recently on site at Rowan Court, Thistle Court and Heather Court in Port Glasgow to visit the project we delivered in partnership with Inverclyde Council over 10 years ago, the blocks are now under the ownership of River Clyde Homes. We were joined by Graham Simpson MSP who is a member of the Local Government and Communities Committee and Heather McIlroy, the Contract Administrator who overseen the project on behalf of Inverclyde Council, Heather was pleased to be involved again in her current role as Asset Maintenance Manager within River Clyde Homes. 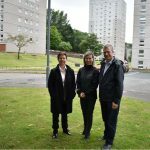 Heather, Asset Maintenance Manager at River clyde Homes (left), Maureen Stevenson, A.C. Whyte and Graham Simpson MSP at Rowan Court, Thistle Court and Heather Court in Port Glasgow. 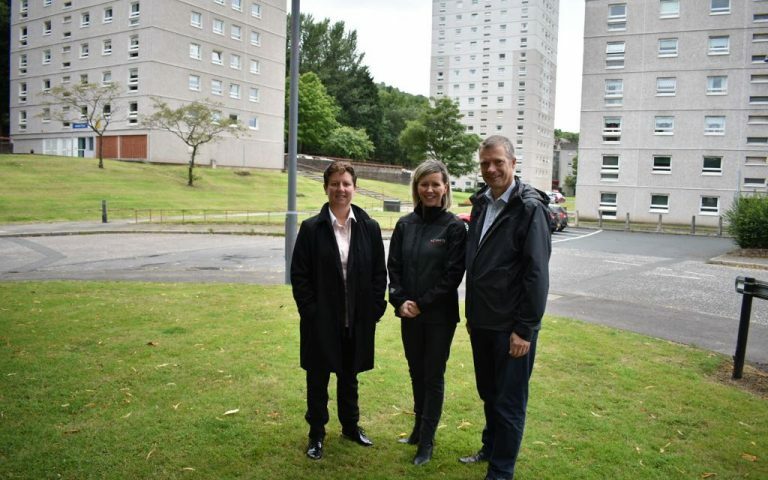 Graham Simpson MSP said “Keeping homes warm and external wall insulation are big topics at the moment. The Local Government and Communities Committee, which I sit on, has been looking at both and will be on an ongoing basis. I was keen to see work that had been done some time ago to see how it had fared. A.C. Whyte carried out the work on the blocks in Port Glasgow 10 years ago and have recently been nominated for an INCA Heritage Award for the project. The blocks look as good today as they did back when they were first refurbished, and it is reflective of the pride that they take in their refurbishments. The important thing is that people end up saving on their fuel bills and their homes look better too”. Having already won Large Installer of the Year award in 2017, we are delighted to have be shortlisted for the second year running. This award recognises the achievement of INCA members for their innovative solutions, community engagement and uniqueness of projects. The winner of the awards will be announced on Thursday 1st November at the INCA 2018 Awards lunch where guests will congregate at the Hilton Manchester Deansgate.